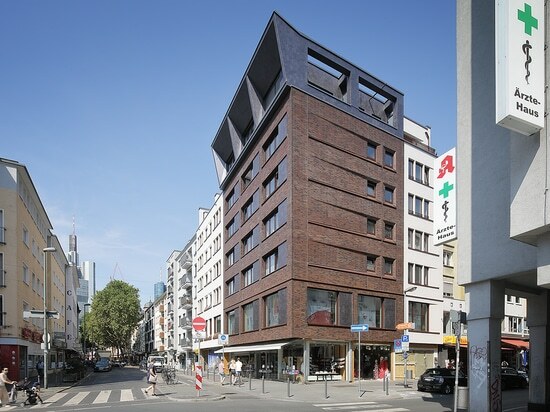 If the buildings on the Frankfurt street of Töngesgasse could talk, they would probably have a lot to report: the imposing building at number 32 would perhaps proudly chat about the glory days when the street affectionately known as "Kleine Zeil" was still the richest and most sought-after commercial street in Frankfurt. 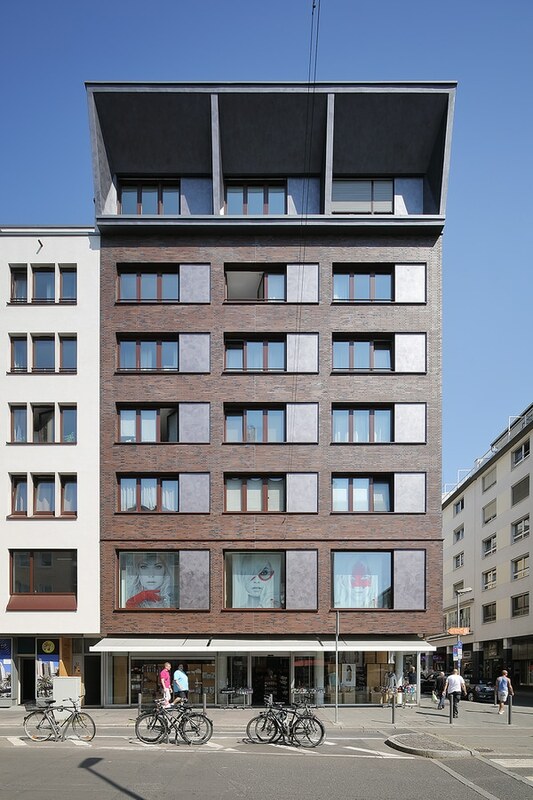 And of course, the rectilinear corner building would also point to its celebrity factor: in 1814, Heinrich Nestle (later Henri Nestlé) came into the world within its four walls. 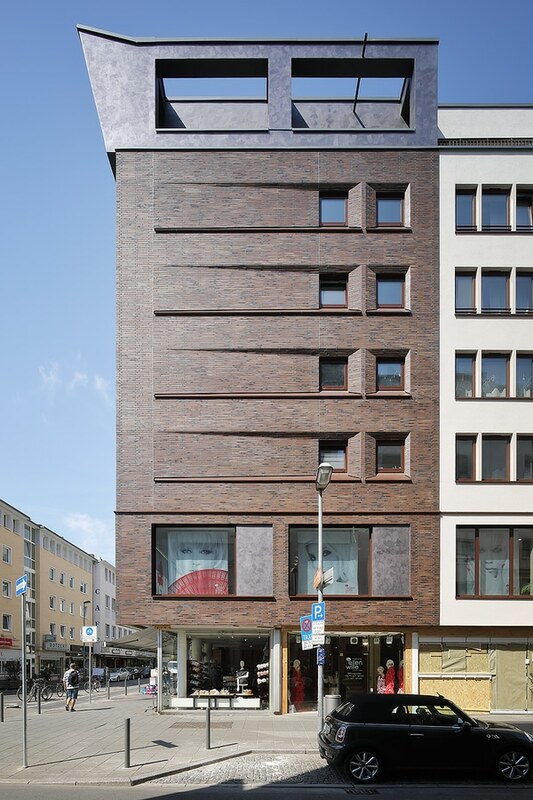 In the here and now, the recently renovated building is proudly displaying an impressive new facade which, with its red-brown-blue, long-format clinker brick slips from Ströher covering an area of around 310 m², guarantees plenty of admiration from the neighbouring buildings. 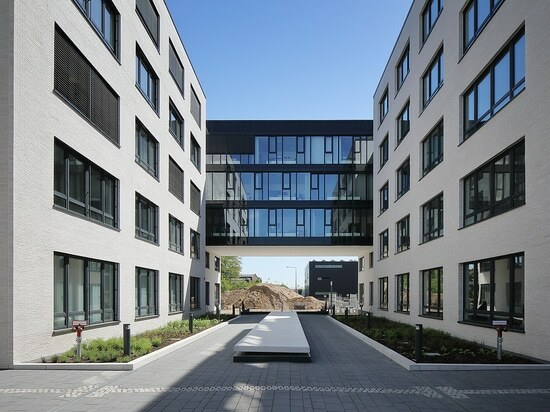 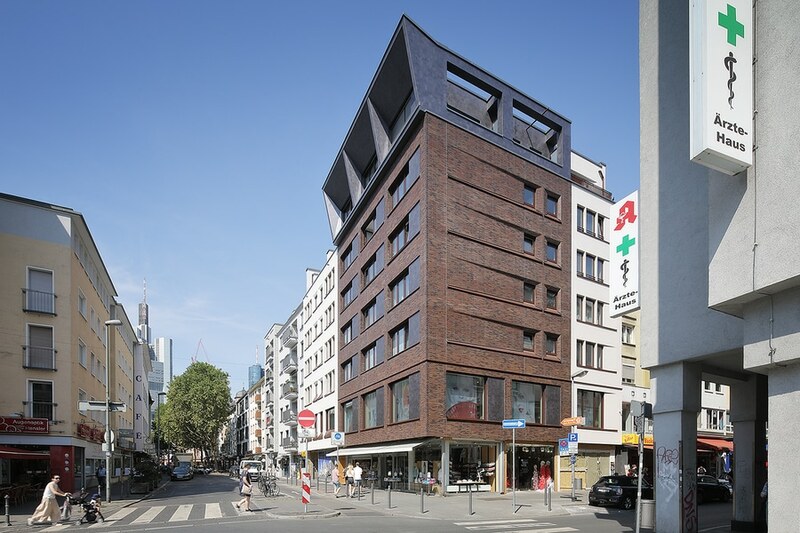 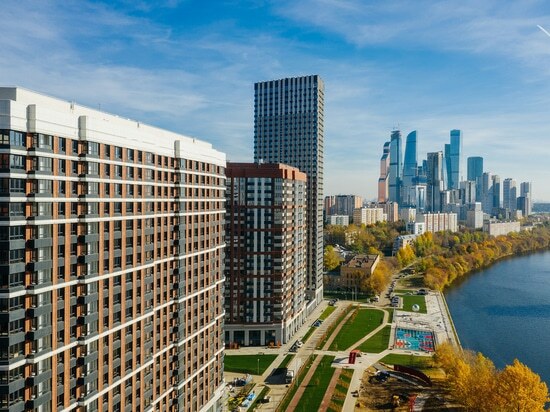 It owes this to the Frankfurt-based architects KleinundArchitekten, who have already demonstrated their urban sensitivity with the neighbouring Töngeshof development. 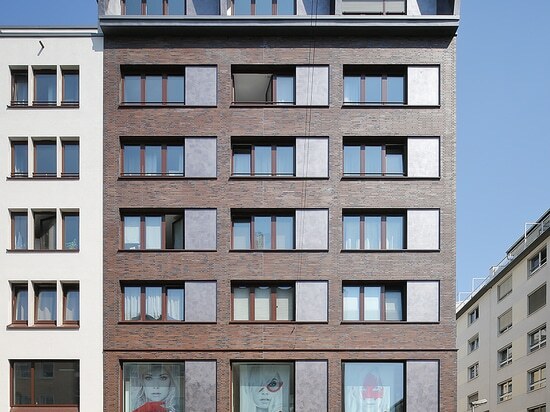 With this renovation, they have evidently succeeded in reinterpreting the city's history in this exposed inner city location between Dom/Römer and Zeil: resolutely modern, in the style of great master builders such as Frankfurt citizen Christoph Mäckler, Töngesgasse 32 is reminiscent of the Brick Expressionism of the 1920s. 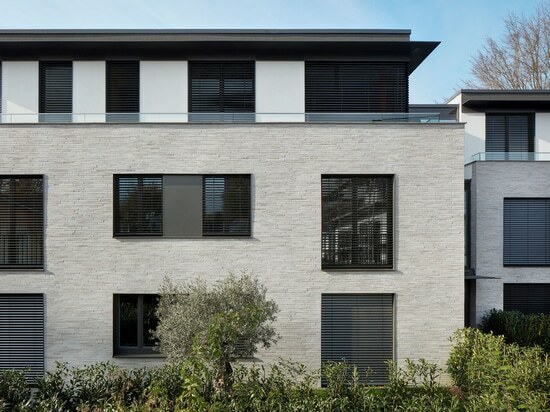 The building now has a commanding presence in a new guise: well-proportioned, from the continuous base of the window of the traditional wool shop on the ground floor, over the other four storeys up to the diagonally protruding roof extension. 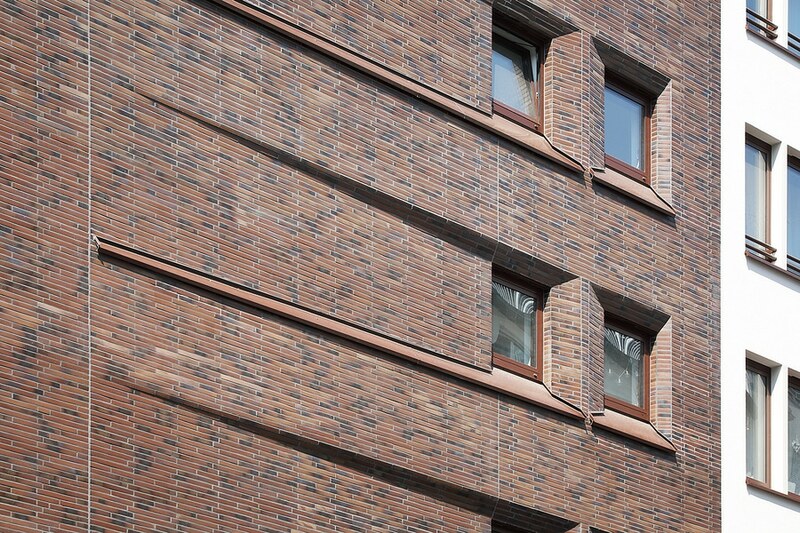 The clinker-brick cornices blend into the building as though they were one-piece. 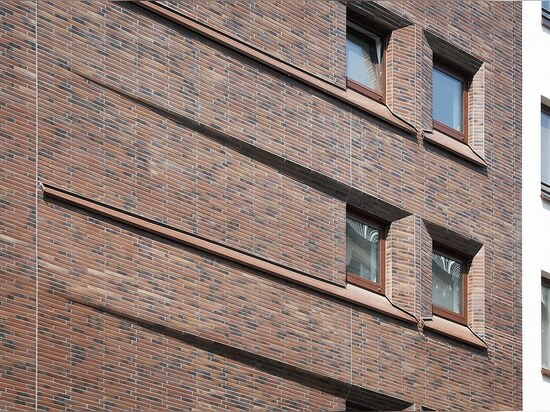 In harmony with the wide window sills, they create an additional depth in the facade, which is clad with Ströher clinker brick slips. 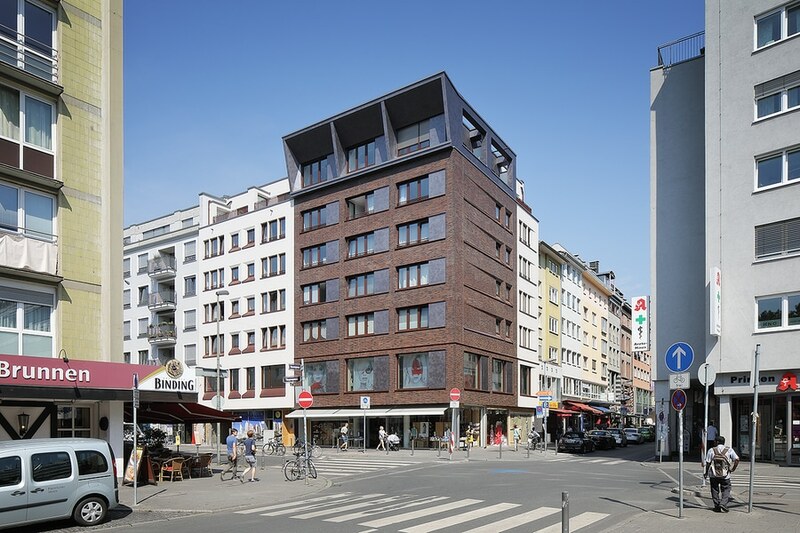 Töngesgasse has changed its appearance many times in its history. 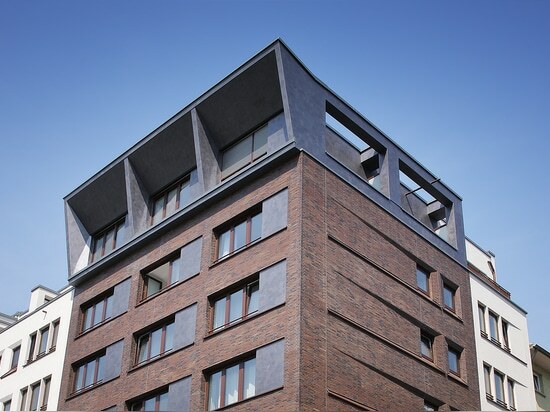 Buildings cannot speak, but their architecture tells a story. 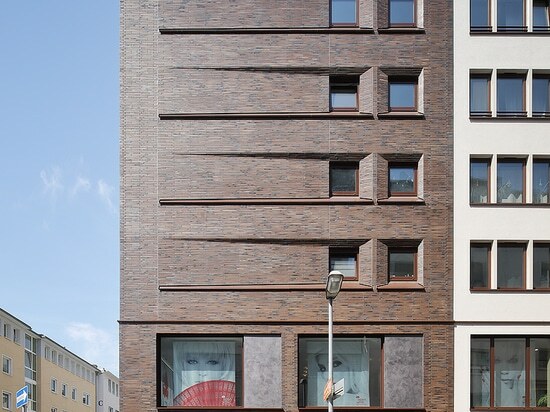 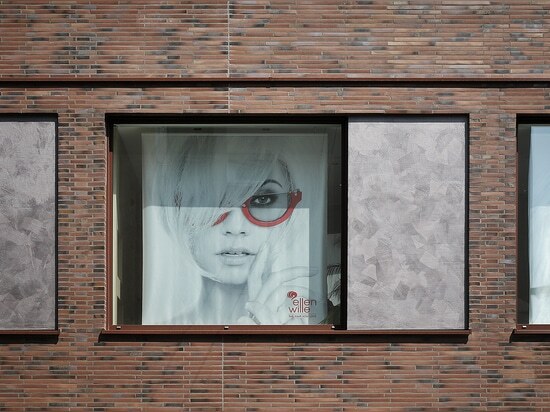 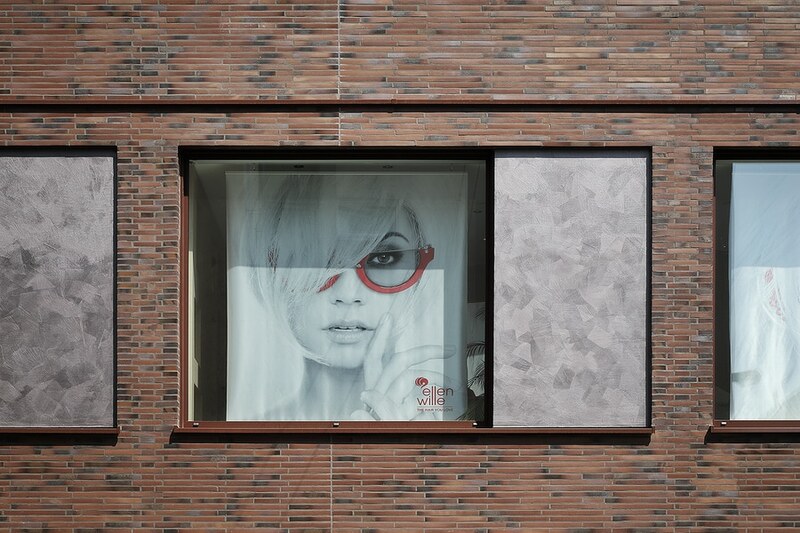 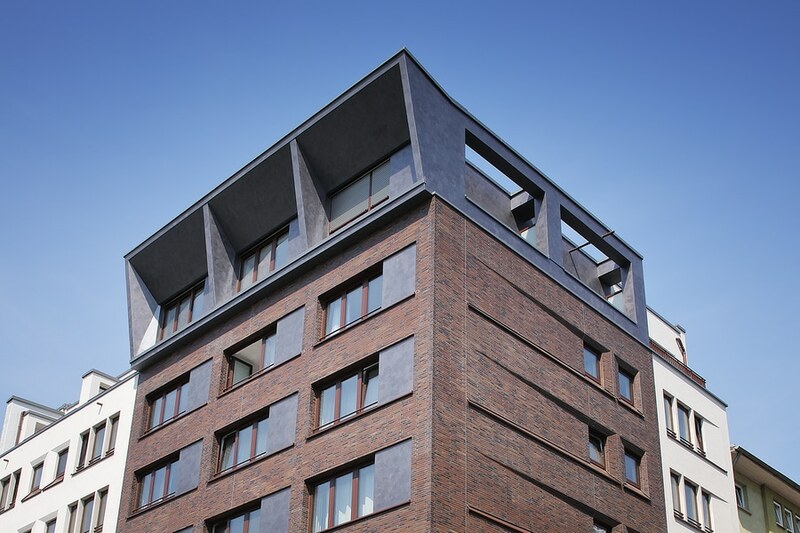 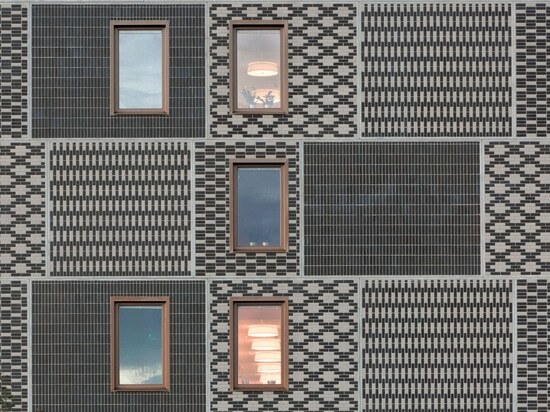 According to the designers at KleinundArchitekten, Ströher's clinker brick slips played a major role in the renovation project at number 32 where, "The expressive clinker bricks complement the vertical segmentation of the facade. 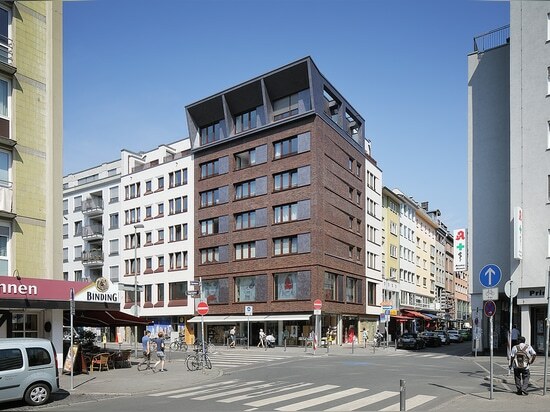 This could also be found historically and was previously adopted in our development of the neighbouring Töngeshof," explains architect Markus Reuss.